Observations of the natural world; the seasons and cycles working in harmony. Built around the elements: water, wood, fire, metal and earth. 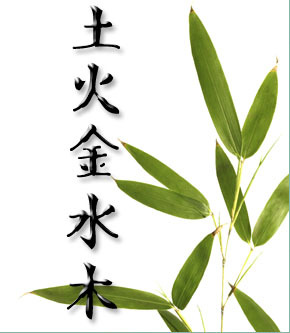 Trained in five element acupuncture and TCM. Related to vital organs of the body  the heart, kidneys, liver, lungs and spleen. Associated with a colour, sound, odour, emotion and season. A system based on observations of the natural world; the seasons and cycles working in harmony. It is built around the elements: water, wood, fire, metal and earth. Ancient masters recognized that these elements or phases were within us as well as around us. 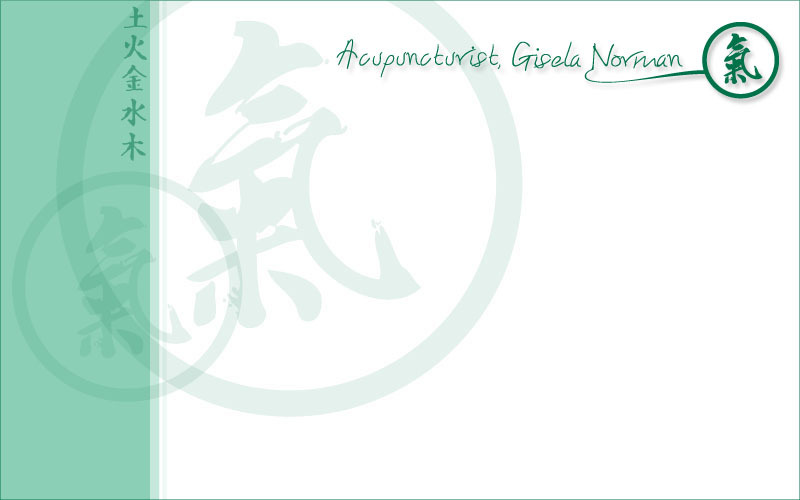 Gisela was originally trained in five element acupuncture and latterly TCM, which she combines in daily practice. The Elements are also related to the vital organs of the body  the heart, kidneys, liver, lungs and spleen. Each is associated with a colour, sound, odour, emotion and season. So for example, the liver is related to wood, anger, the ligaments and spring time. Each of us is a combination of all five elements, but we tend to have a dominant element with helps define us. Creating a balance of the elements is part of achieving positive health.